It’s July, and it’s usually not a time where we think of Christian Festivals. This need not be the case. You can have Christmas in July. That’s right Christmas in July. On July 2nd we can celebrate The Visitation. The Visitation is the visit of Mary to her relative Elisabeth which is recorded in Luke 1:39-56. Now this might seem like a strange time of year to celebrate such an event, but it makes perfect sense when you know that the Annunciation of our Lord is celebrated on March 25th . March 25th is of course 9 months before December 25th. The visitation is also when John inside of his mother leaped for Joy when he heard Mary’s voice. We also can leap for joy knowing our Savior has come to earth to be born of a woman. He also came to suffer and die for us. But we also know he rose from the dead. So we have a lot of things we can leap for joy over. So this month and every month we can celebrate and remember the fact that Jesus has come to earth and visited us. Thank you from Orphan Grain Train! The 424 Garage Sale was a HUGE Success! Thank you to everyone who supported us with their time, baked goods and other items we were able to sell. We couldn’t have done it without you! It takes a Village to operate Orphan Grain Train – Thank you for being part of our Village. 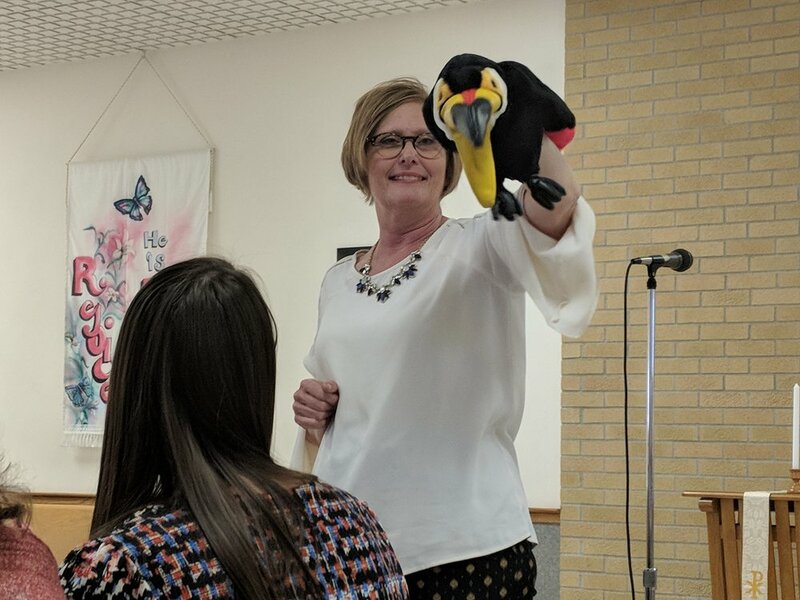 We had 27 eager participants take part in our "Amazing Bible Animals Excursion." In Proverbs 6, the ants taught us to remember to do things without being told and to be hard, faithful workers. There was a live ant farm and an ant tunnel to crawl through, even an anthill the kids could eat! Balaam and his talking donkey (Yes, talking donkey!!) taught us to be faithful and follow God. God used angels in this story. In Luke 15, the parable of the Lost Sheep we were reminded of how Jesus saves us and gives us eternal life. On Thursday, we focused on the story of Noah's Ark, in particular the importance of the dove and the peace it symbolizes. We ended the week talking about a camel going through the eye of a needle in Mark 10. The lesson being to focus on the Lord, not all of the stuff and possessions we have. Everything wrapped up with a short closing program that parents and relatives were invited to. The kids sang songs, shared what they learned, received certificates, and enjoyed animal crackers and ice cream. The week would not have been possible without many volunteers who gave their time: Pastor and Dana Stuenkel, Bette Weddelman, Emilie Parsons, Pam Jones, Deb and Mark Oberhaus, Michelle Weddelman, Alicia and Bill Richardson, Nancy Conrad, Bethany Mathers, Nancy Helmke, MaKenna Helmke, Karlee Bostelman, Bridgett, Mallory, and Zander Watson, Carrie and Lana Culp Thanks to Larry and Phyllis for using their sign to advertise. 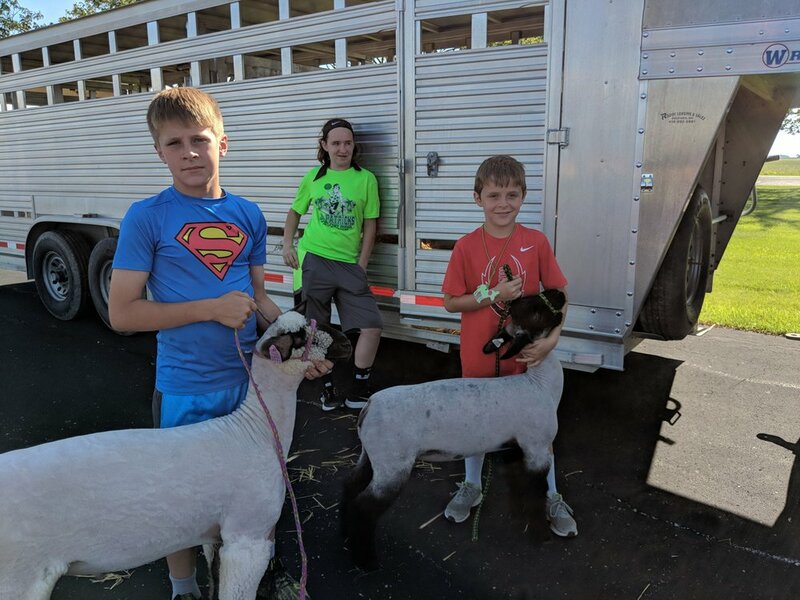 Special thanks to Robyn and Andy Helmke for letting Colton and Aiden share their sheep on Wednesday! Thanks to Sherry Krueger for donating snacks. Special thanks to Cindy Casserly for bringing over her donkeys which included a baby that was 10 days old! Look at and Read the words in Hymn 766 “Our Father, Who from Heaven Above”. This hymn on the Lord’s Prayer reflect Martin Luther’s catechism teaching on the Lord’s Prayer and the theology of prayer that produced it. Luther reflected that; “Many pray the Pater Noster [Our Father] as many as a thousand times a year; if they were to pray a thousand years they would indeed still not have tasted or prayed even one letter of it [Matthew 5:18].” How often have you found your mind wandering to the grocery list, or worse, let the words roll, seemingly on autopilot? In summary, the Pater Noster is the greatest martyr on earth. Nearly everyone mistreats it and abuses it. Only a few are comforted by it and find joy in its correct use. The right place to begin to answer the questions “What is prayer?” and “How shall we pray?” is with our Lord’s own command and promise. For when the disciples asked Him how they should pray, the Lord said, “When you pray, say...” and then He gave them what we call the Lord’s Prayer. 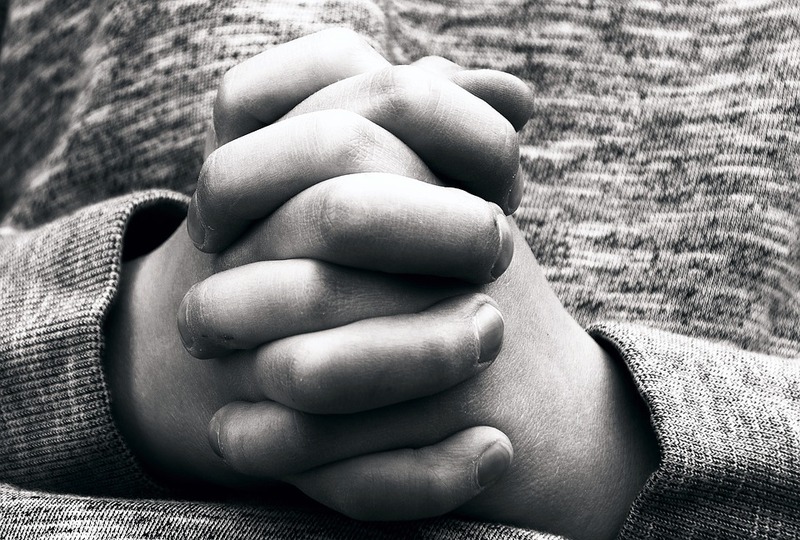 Although we might see or hear people praying all sorts of prayers to all kinds of gods, Christian prayer is unique. It reflects our unique knowledge of and trust in the one true God; Father, Son and Holy Spirit, who has created all things, redeemed us by His blood and sanctified us in His holy Church. We pray from a position of confidence, sure that God will hear us and grant us what is good because we pray by Christ’s command. Yet how often have we rushed through those words, “Our Father...” without thinking what a remarkable gift it is that Christ would have us pray this way. How dare we call upon the one and only true God of heaven and earth as Our Father –whom we have gravely offended through our sins – and then ask Him not of for daily bread but for everything? Why should He give it? Yet this is how Jesus teaches us to pray, without offering Him anything first, without so much as even saying please! That’s a bold prayer. So there is a boldness in this prayer, to ask for what we want and to know that we have the right to ask confidently with all assurance, as dear children as their dear father and to cap it off to conclude with Amen...that is, Yes, it shall be so. So Martin Luther instructs us to begin this prayer humbly but confidently in Christ and say “I am an unworthy wretched sinner and do not deserve to lift my eyes and hands to heaven and pray, but You have commanded us to pray and have promised to hear our prayer, so I pray with all Your holy Christians as He has taught me” and then say the Lord’s Prayer completely, word for word. Rev. C. William Weis (Peace, Saginaw) was called home on May 30, 2018 after a battle with cancer. A 1985 Concordia Seminary-Saint Louis graduate, he served Saint Peter Lutheran Church in Florida, Ohio; Saint Paul Lutheran Church, Flatrock Township, Ohio; and Trinity, Paw Paw before coming to Peace, Saginaw in 2004. Visitation will take place on Wednesday, June 6, 2018 from 2-7 p.m. at Peace Lutheran School; 3161 Lawndale Rd; Saginaw MI 48602. The funeral and committal services will take place at 10 a.m. on Thursday, June 7, 2018 at Peace Lutheran Church; 3427 Adams Ave; Saginaw, MI 48602. A reception and time of sharing will follow the service. Memorials may be made to Peace Lutheran Church "Seeds to Branches." Please keep his wife, Karen, his sons Samuel and Joseph, extended family, and the members of Peace Lutheran Church in your prayers. “I fear no foe, with Thee at hand to bless. Where is death’s sting? Where grave thy victory? I thought I would take this newsletter and explain the colors on the altar. Usually the Church Year is broken up in two. The first half is the life of Christ which begins with Advent and ends with Pentecost. The Second half the church year are the Sundays after Pentecost, which is called the time of the church. The Church Year begins with the First Sunday in Advent, The color for Advent is BLUE. Advent, a preparatory time of waiting and watching, and it communicates the message of hope. After Advent is Christmas which is WHITE; which is also the color for Easter. White is the color of purity and completeness. White is an important color throughout the year. It is also used for Epiphany (Jan. 6) and the first Sunday following it, observed as the Baptism of Our Lord; the Last Sunday after the Epiphany, also known as Transfiguration Sunday; Holy Trinity Sunday; and another twenty-one minor festivals. Then follows rarely seen color; BLACK. Black only appears on Ash Wednesday and Good Friday. The color here calls for us to have a sober reflection on the cost of our redemption. The color for LENT is PURPLE. Purple like black, is a penitential color, in contrast to a festive one. The forty days of Lent, including the six Sundays that fall during this season, use this deep, rich color which has come to represent somberness and solemnity, penitence, and prayer. RED is a power color and is appropriate for use on Pentecost Sunday. Additional uses of red are Reformation Sunday; Holy Cross Day (September 14); on such festive occasions as dedications, anniversaries of a congregation and its physical structure; festive days celebrating the office of the public ministry, such as ordination and installation. The color for the time after PENTECOST IS GREEN. Green is also used during the season of Epiphany. For this reason GREEN is the color we see the most during the year. Green is a neutral color, but there is nothing colorless about our need to grow and mature as disciples of Jesus Christ. That's why the "green meadow" time of the church year is so lengthy. I hope this has helped you to understand not only why the colors change, but also what the colors represent. Orphan Grain Train will be participating in the Historic 424 Garage Sale from Defiance to Waterville on June 7th , 8th and 9th. They will be set up in the Florida Firehouse and will be having a lunch wagon, along with garage sale items and a bake sale! If you plan to participate in this 30 mile long garage sale don’t forget to stop by to support this groups efforts! If you have anything you would like to donate it would be greatly appreciated (No clothing please). They are especially hoping for bake sale items. Bring your donations to the Orphan Grain Train Warehouse in Napoleon on June 6th at 6 PM or to the Florida Fire Station on the mornings of the sale. JUNE 22 -24 are the dates for the LWML OHIO DISTRICT CONVENTION AT DUBLIN, OH. Attending from our churches are Pastor Stuenkel as Pastor Counselor of Napoleon Zone; Dana Stuenkel as Young Woman Representative of Napoleon Zone; Sharlene Bunke and Ruth Block, Delegates representing St. Peter, Florida and Nancy Helmke is providing a display for Orphan Grain Train at the Convention. ALSO, the ingathering to be taken to the Convention, with which we can all help are: Women’s travel size hygiene products to be given with spiritual materials to persons seeking help in women’s shelters and Walmart gift cards in any denomination which will be distributed to victims in disaster areas through the LCMS Disaster Response program. There is a box in the narthex at both churches to receive these items. Last but not least, we can all include in prayer the Convention Committee of the Central Zone, Pastor and Dana in their first experience at a LWML Convention and our delegates for another inspirational and uplifting time as they “Serve our Lord with Gladness”! Thank You to all the Guys who helped serve at the Ladies Tea on April 29. They were Pastor Stuenkel, Kevin and Jake Leaders, Dave Arens, Tim Buchhop, Andy and Henry Parsons. You did a great job. Also a special Thank You to Andy, who was the M C. Kathy Wilhelm, DOUBLE TALK, provided a wonderful message for the entertainment. Mallory Watson and Karlee Bostelman greeted everyone and presented the Door Prizes. Thank You. A special service is being planned for all Men and Boys of the church. On Father’s Day, June 17th, they will be honored and receive a special treat. Please plan to attend, you are all an important part to our church. A huge thank you to our Sunday School and Outreach Committee for putting on a beautiful Mother's day service. 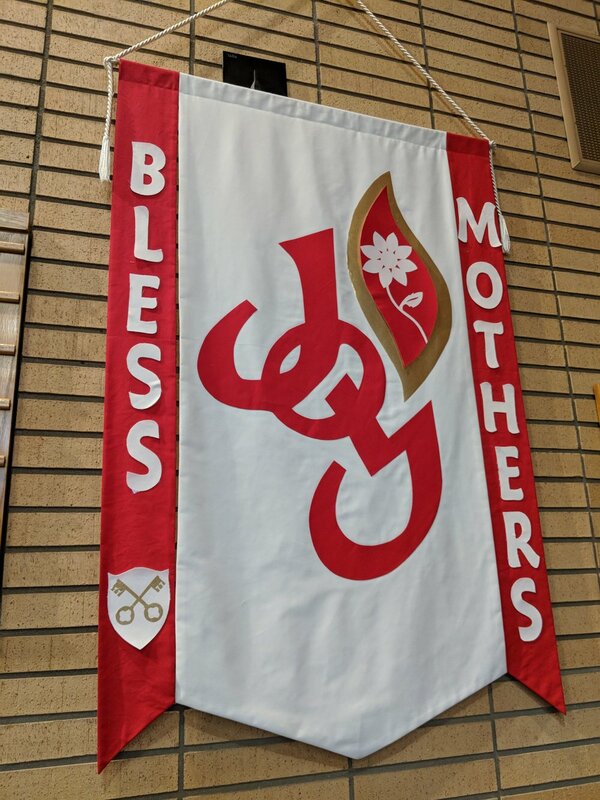 God bless and Happy Mother's day! This April, we celebrated Easter. Easter always seems like the busiest time of the year. But the time after Easter can seem just as frantic. First, we celebrate the day of Ascension on Thursday, May 10, 2018. This is the day our Lord Jesus Christ Ascended into Heaven. On May 13th we celebrate the seventh and last Sunday of Easter. The reading for that Sunday is John 17:11b–19. There, Jesus prays for his Disciples. This is fitting because the Next Sunday is Pentecost, May 20th. On Pentecost, the Apostles become filled with the Holy Spirit. The Next Sunday we celebrate Trinity Sunday. On that Sunday we confess The Athanasian Creed. On Trinity Sunday we remember how we were Created, Saved and Sanctified. Let us consider the prayer for Trinity Sunday this May. Almighty and everlasting God, You have given us grace to acknowledge the glory of the eternal Trinity by the confession of a true faith and to worship the Unity in the power of the Divine Majesty. Keep us steadfast in this faith and defend us from all adversities; for You, O Father, Son, and Holy Spirit, live and reign, one God, now and forever. Amen. A special service is being planned for all Ladies and Girls of the church. On Mother’s Day, May 13, they will be honored and receive a special treat. Please plan to attend, you are all a special part of the church. Vacation Bible School will be held in the month of June. Plans are being made. Watch for more information in the bulletins. Volunteers and helpers will be needed, so please plan to help. Ashton Helmke, daughter of Matthew and Stephanie Helmke, will be graduating from Tinora High School in May of 2018. I've been involved in many different activities during high school, including National Honor Society, Art Club, German Club, Yearbook staff, and Fellowship of Christian Athletes. I have also participated in Varsity Bowling my junior and senior year, and Varsity Softball all four years of high school. I have also competed with a club softball team in the summer for the past five years. I plan to attend Marietta College in the fall to study Graphic Design and play college softball. Please mark your calendars now for Monday, June 4th. St Peter LWML invites all of our congregation members to join us for a Buffet Dinner at The Barn Restaurant, Sauder Village starting at 5 PM. It is Dutch Treat and on Monday nights you can make as many trips to the buffet as you wish and at a price of $8.49 (not including beverage) for all Seniors. Please advise Sharlene Bunke, personally or call her at (419) 782-9136 if you can join us We will be glad to have you come! Can't believe we've reached the last month of the 2017/2018 school year. What a fantastic year it's been! 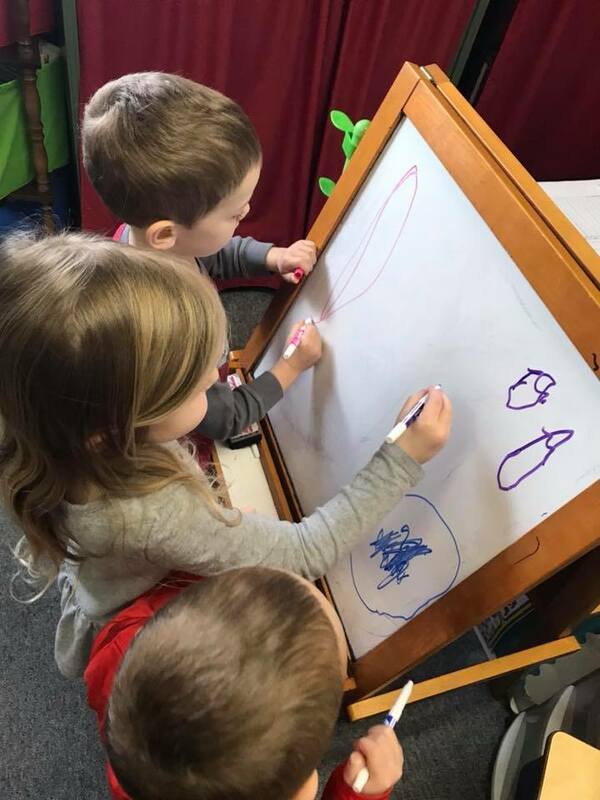 April was another fun and busy month in Preschool. Our themes included Easter, Space, Bike Safety, Earth Day and Flowers/Planting. We finished up the remaining letters in the alphabet and started working on writing numbers. Firefighter Kyle Richards from the Florida/Flatrock Fire Department came and brought his fire truck ~ the weather was pretty chilly, but we still enjoyed looking at the truck and visiting with Kyle back in the classroom after. We sure love when he visits us twice each school year. On Monday, April 23rd, we had our 2nd annual St. Jude Trike-a-Thon and it was a perfect beautiful day! The kiddos did fantastic and we had so much fun. We raised $397 for St. Jude Children's Hospital! 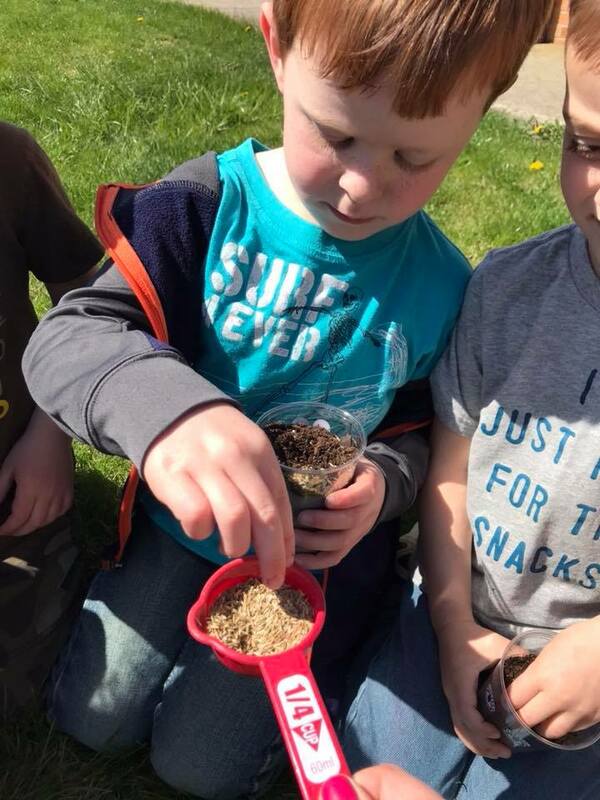 May is filled with more fun weekly themes, learning new numbers, a visit with Ms Barb from the Napoleon Public Library, Graduation pictures and finally our Graduation ceremony on Thursday, May 24th at 7pm. Our last day of school is Friday, May 25th. Thank you for another AMAZING year at St. Peter Preschool. I am blessed to be your teacher! This April Christians everywhere will celebrate the Easter Season. This Easter is extra special because we also celebrate April Fool’s Day. Which is supposed to be a day of hijinks. That’s often the way the world looks at Easter. They often see it as a lie, as if Christianity itself is trying to pull one over them. They should know that we truly believe Jesus died and rose again. For one thing we have the Empty Tomb. Second, we have the Eyewitnesses of the resurrected Jesus, including the eye witnesses of the woman who were the first to see Jesus. Third, we have the New Testament Documents themselves which have the accounts of those eyewitnesses. Fourth, we have the example of the disciples and what they did following Jesus’ death and resurrection. We know they went out into the world proclaiming Jesus, even though they knew it would get them killed. Lastly,we have the witness and example of Saint Paul. He went to write about his own vision of Jesus. We know when we celebrate Easter we are not joking, but we are confessing our belief that Jesus has risen. He has risen, indeed, Alleluia! St Peter would like to recognize the 2018 Graduates in our Church’s May Newsletter. We would like to include your senior picture along with a brief article of your high school career and future plans. You may drop the information off at the church office or email it to the Church at stpeterflorida@gmail.com. Ladies please mark April 29th off on your calendar. Plans are in the making for a special Tea Party for Mothers, Daughters, Granddaughters, Grandmothers, Aunts, Cousins, Friends and Neighbors! If you are interested in helping plan this event contact Becky, Emilie, Bette or Deb. St. Peter Preschool Spring Open House! Stop in and see our classroom, meet Mrs. Rees, pick up enrollment papers and ask questions. Saturday, April 7 is the date for the Defiance Zone LWML Rally. CALLED TO LIVE FOR CHRIST is the theme and the forenoon rally commences at 8:30 with a breakfast at St. John, 9088 Openlander Rd. west of Sherwood. The guest speaker is Deaconess Carolyn Brinkley who is Military Project Coordinator at the Seminary and especially concerned with the work of the Chaplains serving the Military. Offerings will be for the Chaplaincy Program of our Synod, Defiance Zone and Mites. St. Peter LWML has chosen Sharlene Bunke and Ruth Block to represent our unit as Delegates at the LWML, OHIO DISTRICT CONVENTION at Dublin, Ohio on June 22-24, 2018. The theme of the convention is '"Walk in the Light". Pastor Stuenkel will also attend as Pastoral Counselor of the Napoleon Zone LWML. We had a wonderful month of March, visits with Ms Barb from the Napoleon Public Library and Emily Hill with the Henry County Hospital. Thank you both for coming to see us! The weather was still chilly most of the month - but we managed to get outside for recess a couple times. Hoping the weather will improve the next couple week. April is full of lots of great things for the kiddos! When we return from Spring Break we will celebrate Easter and see some precious little quail - thanks Ms Bette for arranging this! Ms Barb will come back, Kyle Richards from the Florida/Flatrock Fire Dept will bring their fire trucks and we will have our 2nd annual St Jude Trike-a- Thon!!! We will finish up our letters of the week and move on to numbers - should be fun! Can’t believe the school year is winding down. Another fantastic year in St Peter Preschool. Reminder - our Spring Open House will be Thursday, April 19th from 5-7pm. Please spread the word! We’re now enrolling for Fall of 2018! On March 17th America celebrates one of their most popular holidays. It is Saint Patrick’s Day. St. Patrick was the man most responsible for converting the pagan Ireland people into Christians. He spent 40 years spreading the good news of the gospel throughout the whole country. During those 40 years he converted Chieftains and built churches. One of his most famous illustrations was his use of the shamrock. He used the shamrock to teach about the Trinitarian God. The shamrock has three leafs, but it is still one plant. Likewise, the Trinity is three persons, but still one God. Today Saint Patrick can still be an example to us. He can also inspire us to share the gospel with our friends and neighbors. He also shows us that we can us the world around us to explain the mysterious of God. I hope this March 17th you do far more than just wear green and pick shamrocks. I hope you thank the Trinitarian God for Creating, Saving, and Sanctifying you. The Lenten Dinners will continue on Wednesday evenings, starting at 6:00PM, before the Lenten services. Everyone is invited to join us on March 7, 14 & 21. If you would like to assist in preparing a meal or salad/dessert for one of the dinners, there is a sign-up sheet posted on the bulletin board in the Narthex, or contact Bette Weddelman 419-762-5716. Come and enjoy the dinners and the fellowship. After the votes were counted, Russ Krueger got third place and Ben Weddelman (with the help of his son Ryan) got second place. The winner of this years Chili Cook-Off was Abigayle Helmke. Congrats, Abby. Thank You to all the people who made chili and the people who helped serve. Also, Thanks to everyone who came and brought the great food. A good day for All. Our LWML has so much to be thankful for especially to the members of our congregation. We are thankful to the Betty Meyer family who designated memorial gifts to be used to support Seminarians. 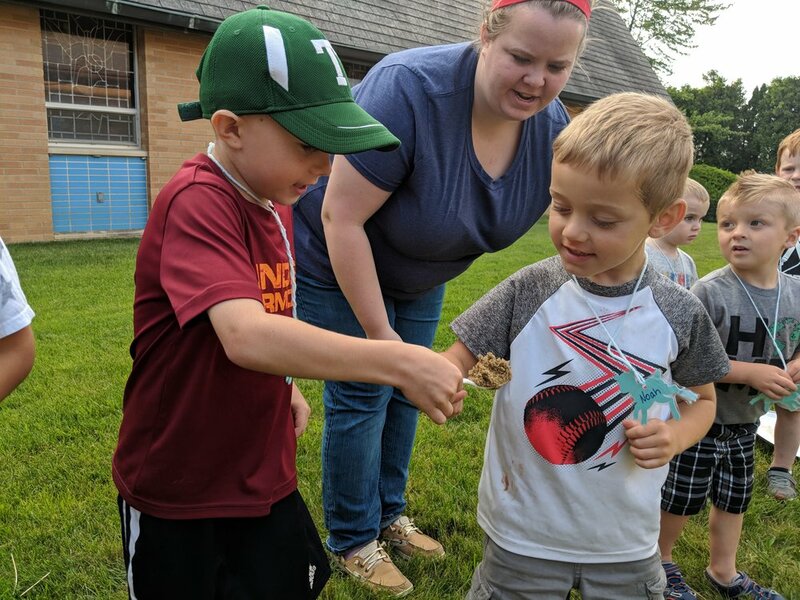 This fund has provided $20 each month during the past two school years for our adopted seminarians in addition to the $40 per month our LWML unit contributes. Our adopted seminarian, Justin Mason, and his family wrote in a recent note, "God bless you for your prayers and financial aid which you supply to seminarians like myself. I am a 4th yr student with a wife and two young children, therefore, your financial aid of $40 a month helps with our expenses. God bless you as you remember the future of Christ's church in His pastors." We also appreciate so very much the generosity of our members in the first Sunday of the month MITE OFFERINGS. St. Peter's contribution for MITES totaled in excess of $1,160.00 during 2017. 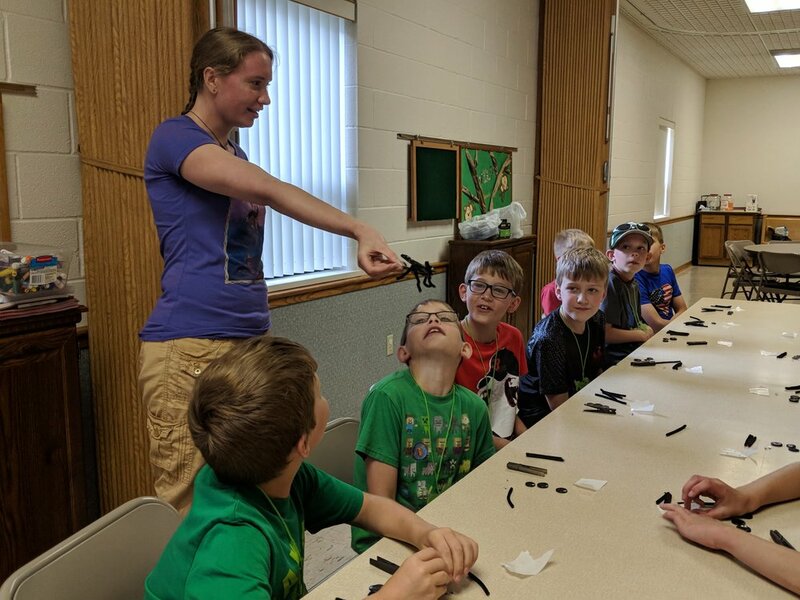 Mite offerings are only used for mission projects of Ohio District and national LWML. Another example of LUTHERAN WOMEN IN MISSION was the abundance of neat stuff provided for the COLLEGE CARE PACKETS! We were able to fill six boxes (two for the seminarian and his family since we had so much). We are grateful to all of you and say OUR GOD BE THANKED! February was a much better month for the weather, although the temps are warm enough to go outside - the rain has put a stop to that! We can’t wait for Spring! This month we had our Valentine party which was very very fun! The students even did a math lesson while graphing candy hearts!! Shhhhh- don’t tell them we were doing math while having fun! We also had a visit from Candi and Kenny from Dr Heinrich’s dental office. The students learned about proper dental care and even went home with new toothbrushes, toothpaste and floss! In March we will be celebrating Dr Seuss’ birthday on Friday, 3/2. 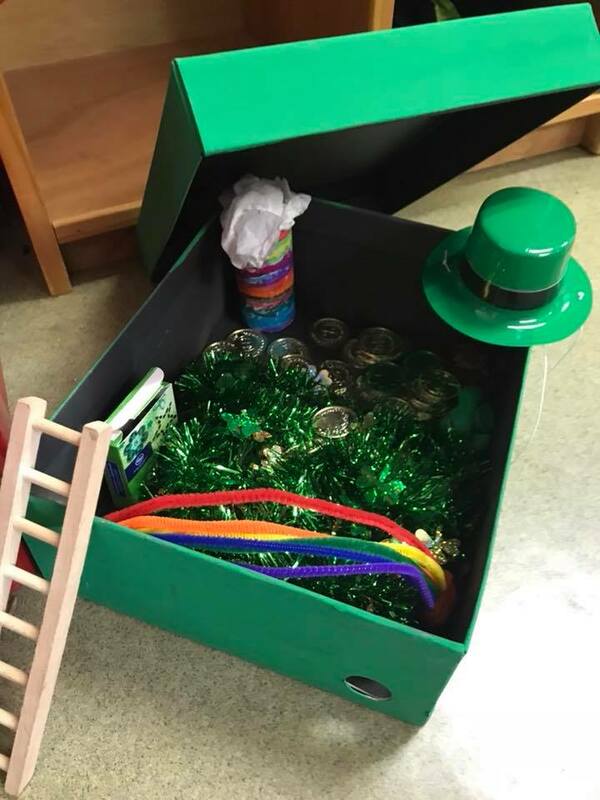 Also, our monthly visit with Ms Barb from the Napoleon Public Library and setting up “traps” in the classroom to catch any leprechauns that may try to visit us around St Patrick’s Day! New in March we will have Emily Hill from Henry County Hospital come in and speak with us about Poison Prevention - helping preschoolers understand the dangers of medications and other common household items. The year will wrap up with conferences, Easter party, 2nd Annual St Jude Trike-A-Thon and finally graduation. Can’t believe how fast the year has gone! Making a difference, one knot at a time. Once a month a few of our church members gather together for fellowship in order to help those in need. We call them "The Knotters." These ladies graciously take time out of their day knotting and crocheting. Most of their materials are found from Goodwill, garage sales and scrap fabric from the Grain Train. Judy Helmke and Bette Weddelman sew 10 inch blocks together before they begin the knotting process. Their blankets have been donated to the Grain Train, Filling Home, Henry County Hospital OB, Defiance Sheriff Department and the Genacross Lutheran Services - Napoleon Campus. Frieda Boesling likes to sit to the side and crochet blankets for babies. Frieda’s blankets are included in hospital care packages that are assembled for needy mothers of newborns from the Henry County Hospital. A typical care package includes: onesie, sleeper, bib, hat, socks, burp rag, thermometer, bottle, towel, washcloth, card, sweater and blanket. Our knotters donate 36x36 Binky Patrol Comforting blankets for children. Deputies from Defiance County Sheriff Department keep a Binky Blanket in their patrol cars. The deputies give them away to children who are ill abused or if they have experienced any type of an at the scene trauma from a car accident. God bless these volunteers who are making a difference! "Remember that thou art dust, and to dust thou shalt return" (Gen. 3:19) . These are the words the Pastor speaks as he puts ashes on the face of believers on Ash Wednesday. This year Ash Wednesday occurs on February 14th. Ash Wednesday begins the season of Lent. Lent is a time of repentance. During this time consider the cost Christ had to pay for your sins. Lent is often times where people give things up. For instance a lot of people use this time to try to quit smoking. In the ancient church this was the time adults prepared for their Baptism which would occur on Easter Sunday. Lent for those adults was a time of instruction. This is not unlike our confirmation classes. During this time those ancient pastors would often preach the Old Testament in light of Jesus Christ. In spirit of this season of Lent I encourage you to read your Bible in light of the cost Christ paid on the Cross while you eagerly await the Easter Season. For the past 100 years, God has used Lutheran Hour Ministries to bring messages of hope to the downtrodden, the lonely, the lost. Decade by decade, we have risen to challenges to proclaim the Savior. Each milestone required a bold step of faith. Today, with billions of souls in danger of entering eternity apart from Christ, the need to boldly proclaim the love of Christ is greater than ever. Lutheran Hour Ministries will not rest until the Gospel is proclaimed to as many of these souls as possible, in ways they can understand. Prayerful and monetary support allow LHM to share the Good News with more than 71 million people each week in more than 50 nations around the world through a variety of culturally relevant outreach programs and resources. In our area, congregations and individuals are also privileged to support broadcasts of the Lutheran Hour on Sundays. 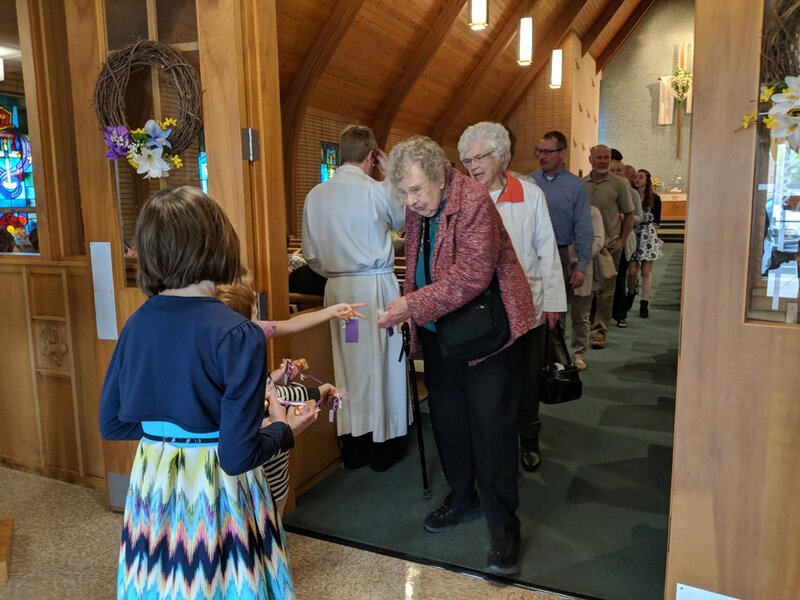 February 4 has been designated as LUTHERAN HOUR SUNDAY and you are encouraged to make a special offering in envelopes provided in the Church's Narthex. Envelopes are also available on the St. Peter Narthex bulletin board for those wishing to support broadcasts of the LH on the Napoleon radio station. We hope you are humbled to see how God uses our talents and treasures to make His Gospel known. The Board of Witness, Outreach and Stewardship is planning the Lenten dinners for 2018. Please watch future bulletins or emails for more details. We invite everyone to join in the Lenten dinners prior to the services on Wednesday evenings, starting February 21, 2018. If you would like to assist in preparing a meal or salad/dessert for one of the dinners, there is a sign-up sheet posted on the bulletin board in the Narthex. Come and enjoy the dinners and the fellowship. St. Peter LWML will be packing COLLEGE CARE PACKETS at their meeting on February 13th at 1:30pm. Snacks, treats, personal items, pens, pencils, currency and change are suggested. There will be 5 packets sent. ( two girls, two boys and our Seminarian and his family) If you care to assist with this project, please place your gifts in the box on the table in the Narthex. Our Chili Cook Off will be held February 11, 2018. The meal will be following our 10AM church service. If you are interested in a challenge, sign up and let us decide which chili is the BEST! If you plan to make chili, contact Bette Weddelman or Deb Oberhaus. 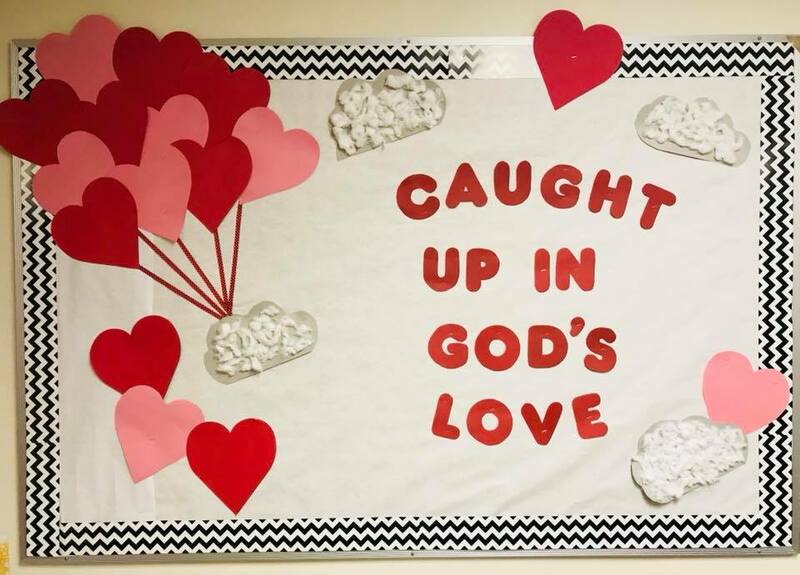 A sign up sheet is posted in the Narthex bulletin board if you plan to attend. Welcome to 2018 and the second half of our school year! Time is sure flying by and we're having a fantastic time in school. Despite missing some school days this month due to weather, we've caught up and hoping we don't miss anymore. The weather in NW Ohio is sure unpredictable! This month we've had some fun enjoying winter themes and talking about our good health. We even made our own snowmen out of marshmallows! Since this month isn't time we can always enjoy outside, we had a pajama & movie day ~ showing the movie "The Good Dinosaur." We've worked on the letters N, O and P. We also have new centers, more activities out during "center time," and Mrs. Rees is working on mid year assessments before conferences in March. 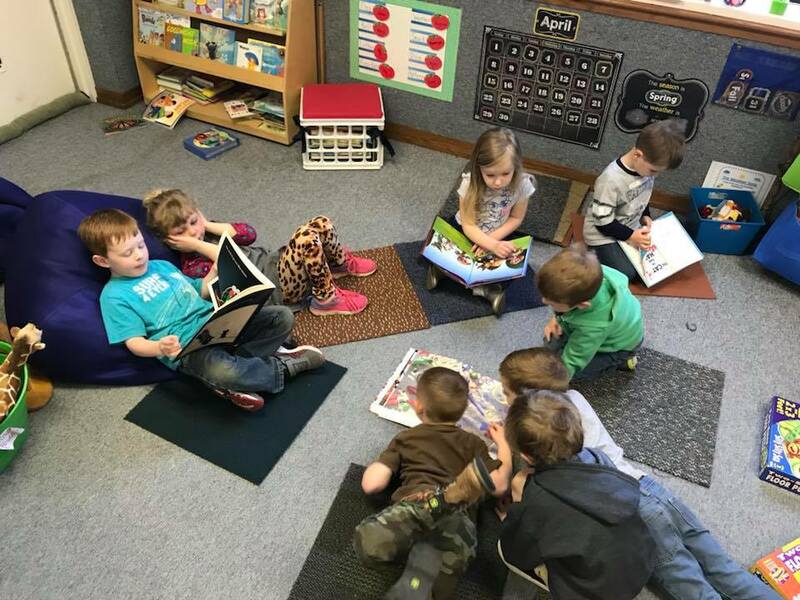 Upcoming events include: Ground Hogs Day, Valentine's Day party, visit from the dentist, Ms. Barb's monthly library visits, Dr. Seuss's birthday activities, conferences, Easter, 2nd annual St. Jude Trike-A-Thon, firefighter Kyle visits again, poison prevention week and graduation in May. We're excited!! Please keep an eye out in the preschool hallway for our "All About Me" posters that we'll be starting soon ~ the students enjoy doing these and talking about their family and favorite things.